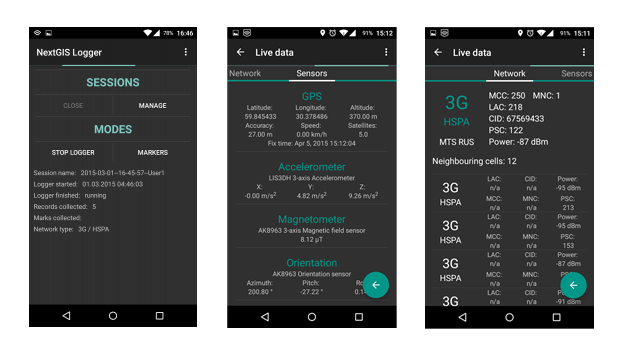 NextGIS Logger is a data collector for Android that records information from surrounding data sources and internal sensors. This is a free and open-source software that has no limitations for redistribution. You can use this software in any setting, be that home use or commercial applications. Buy with support Try it! NextGIS Logger works on smartphones and tablets under Android 3.0 and above. Use user-defined list of category names to place on top of the log. Set up logging parameters (interval, sensors).